Tower of Freedom, created by sculptor Ed Dwight, honours the flight of American slaves into freedom on the Underground Railroad. 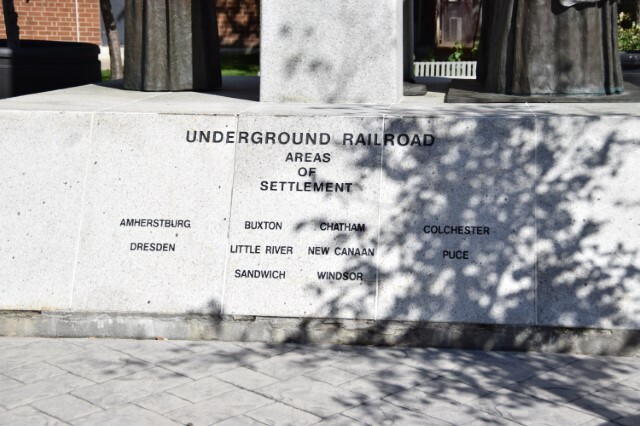 The Underground Railroad is bi-nationally commemorated by two monuments, representing its final stops. 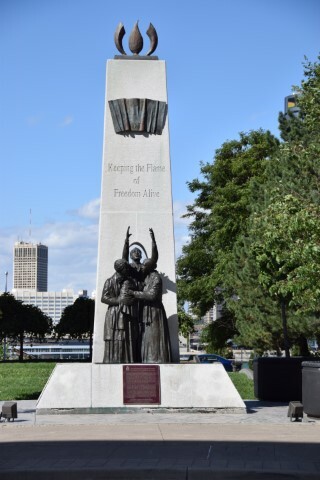 The Detroit monument, located in Hart Plaza, depicts the Gateway to Freedom and features a bronze sculpture of six slaves awaiting transport to Canada. 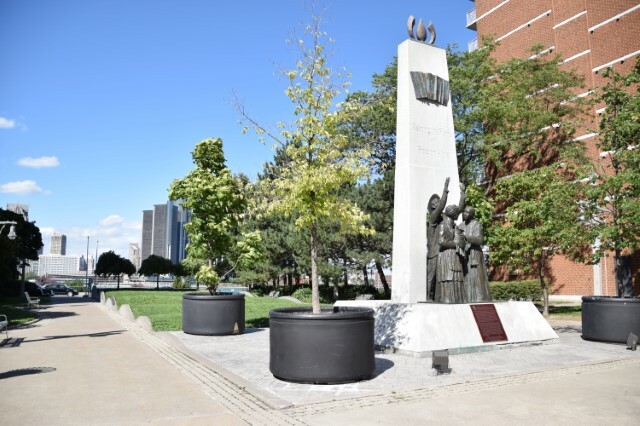 The monument acknowledges many people in Detroit and their participation in the Underground Railroad movement. The Windsor counterpart depicts the refugees' arrival into Canada and their overwhelming emotion upon encountering freedom. 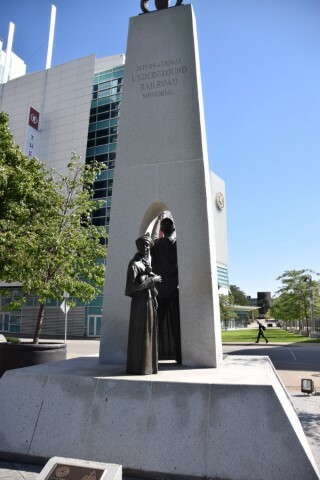 The monument features four life-size bronze figures on the south side of a granite monolith: Two women with a baby and a man standing behind with his arms outstretched in praise. On the north side of the monolith, a young girl holds a rag doll and looks back across the river. The figures rest on a ten by ten-foot base which will become home to the newly worded bronze historic plaque. The monolith is twenty-two feet in height and is visible from its sister monument in Hart Plaza. 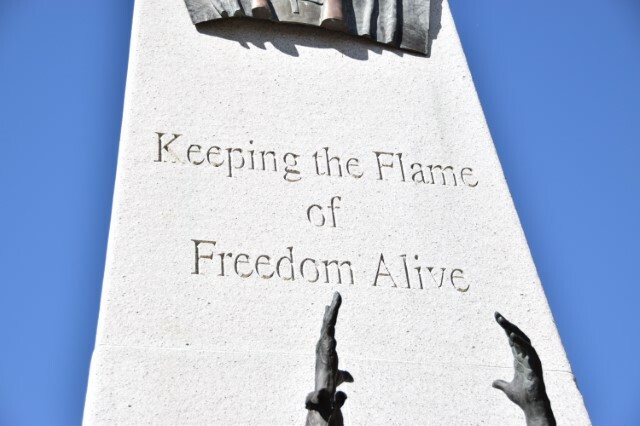 The names of local citizens and places of significance to the Underground Railroad movement appear on the monument along with a bronze Canadian flag and the flame of freedom.